2017 Ford Escape SE For Sale In Vernon, Kelowna, Okanagan, BC. The energizing feeling of supreme capability is had every time you drive the 2017 Ford Escape SE and freely embark on life’s adventures. A part of Canada's Best-Selling Automotive Brand Seven Years In A Row, the Escape SE offers a versatile medium for you to experience life, with a stunning four-door design and a spacious seating capacity for up to five people. 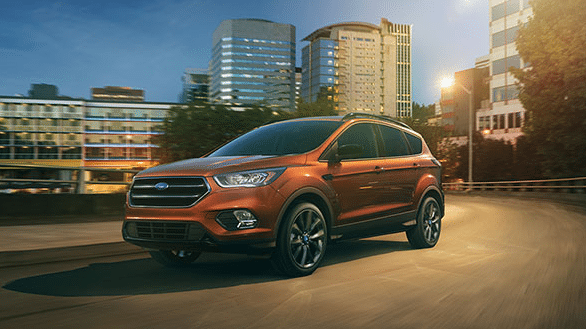 Advance into your day with refined comfort and modern connectivity with the 2017 Ford Escape SE. Luxurious details such as the Ice Blue interior lighting and chrome door release levers invite you in with sophistication. Place your hands on the optional leather-wrapped steering wheel with cruise and audio controls for access to your settings while keeping your eyes on the road. 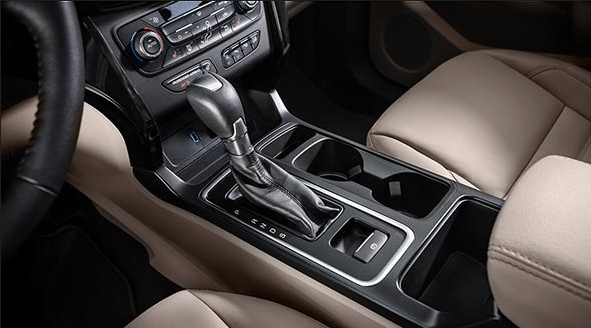 Furthering this environment of comfort is the optional leather wrapped shift knob as you sit back on the available leather-trimmed and heated front seats with 10-way power driver and passengers seats. Keep everyone satisfied thanks to the technology of the Dual-Zone Automatic Temperature Control as it maintains two different temperature zones at the same time. Make your presence known as you set out in the unique 2017 Ford Escape SE. Distinctive features such as the silver or gloss black upper grill with chrome bar inserts, or the chrome beltline moulding help you stand out of the crowd with confidence. Open up to the view above with the power panoramic Vista Roof as fresh air and natural light are welcomed by all. Ensure your visibility at all times through the fog lights for an enhanced ability to see in a variety of weather conditions. Bringing along extra cargo is a breeze thanks to the black roof rails and available crossbars. Keep in touch with the outside work as you drive the 2017 Ford Escape SE, without compromising your safety. Through features such as the available SYNC 3, you can access your compatible devices for hands-free calling and texting. This innovative interface also provides you with advanced voice-recognition capability and a voice-activated navigation for seamless directions and timely arrivals. Entertainment comes forward with the SiriusXM Satellite Radio as you enjoy over 120 channels of commercial-free music, comedy, sports and more. Because no two drivers are the same, no two 2017 Ford Escape SE models are the same either. Each Ford can be modified to meet specific requirements through the use of Ford Original Parts and Accessories. You are offered a series of available features that enhance both the interior and the exterior as you drive in personalized comfort. 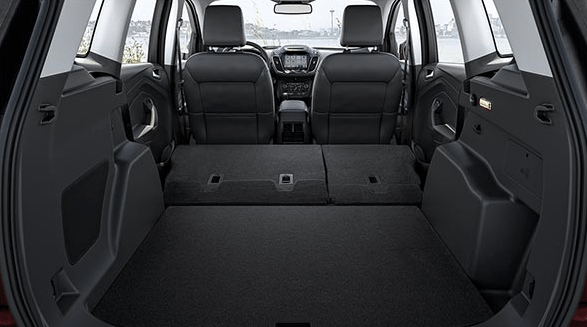 From seat savers to door sill plates, the interior is reinforced by the addition of protective features as well as an optional First Aid Kit or Road Assistance Kit for added security. On the outside, you can expand cargo-carrying capabilities through the addition of a trailer hitch, racks and carriers. Make your Escape your own as you customize it to your liking. Release your potential for greatness in the 2017 Ford Escape SE as you select from the standard 1.5L EcoBoost engine or the optional 2.0L Twin-Scroll EcoBoost engine for maximum performance and control. For a sporty feel with the convenience of an automatic, the 6-Speed SelectShift Automatic Transmission provides race-inspired technology, and steering wheel mounted paddle shifters for a manual transmission feel. Get yourself in and out of a good time off-road thanks to the available Intelligent 4WD System and its responsive and powerful capability. Some conditions may apply. 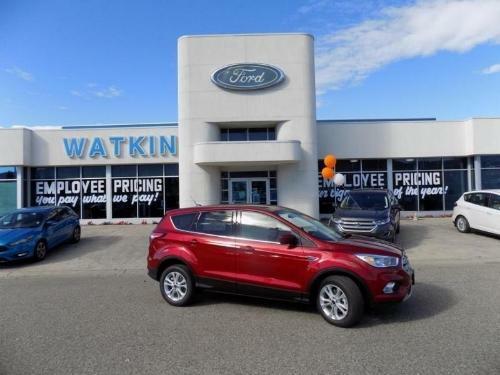 See ﻿﻿﻿﻿Watkin Motors ﻿Ford﻿﻿ ﻿for full details in Vernon, British Columbia, Canada. 2017 Ford Escape For Sale In Vernon, Kelowna, Okanagan Valley, B.C. No matter where life takes you, you can be sure to enjoy every minute of it in the 2017 Ford Escape SE. Bold modernity and refreshing design come forward as you experience a heightened sense of awareness and inexplicable control. For all your questions and inquiries about the 2017 Ford Escape SE, visit your local Vernon Ford Dealer – Watkin Motors. The friendly team of knowledgeable employees at Watkin Motors Ford are happy to help get you into your new Escape SE!